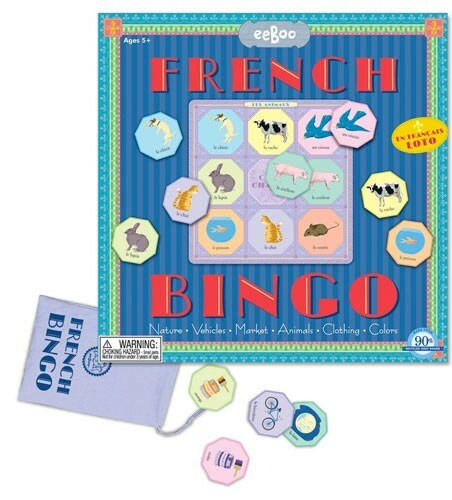 This French Bingo games from eeBoo promotes vocabulary enrichment and hones perceptual skills. 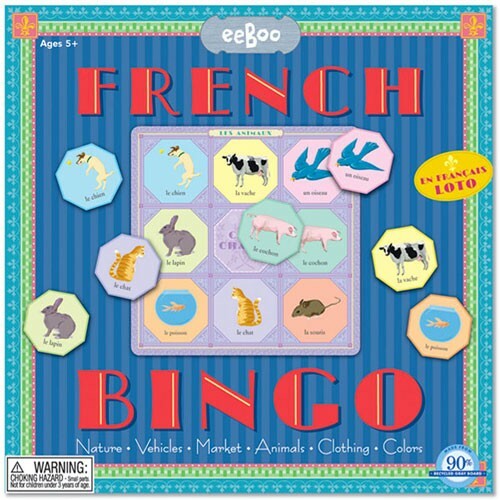 With six themes (nature, vehicles, market, animals, clothing, and colors) the object is to be the first player to fill a card with tiles by matching the pictures. A pronunciation key is included. 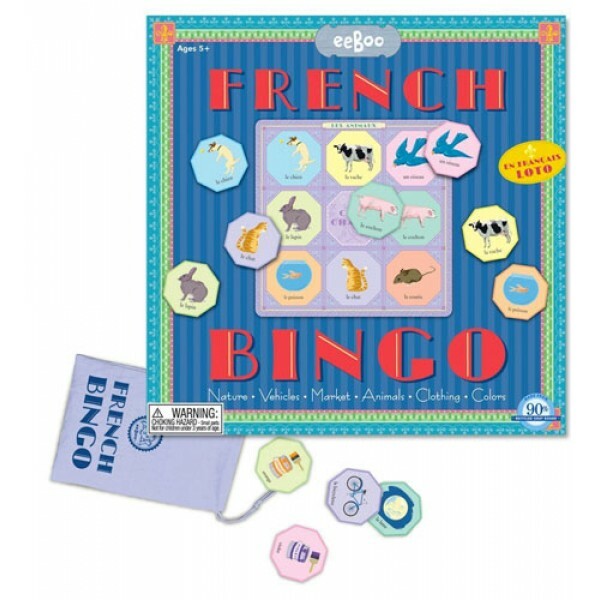 This game for 2 to 6 players includes tiles, cards a pronunciation guide, and a bag for storage.